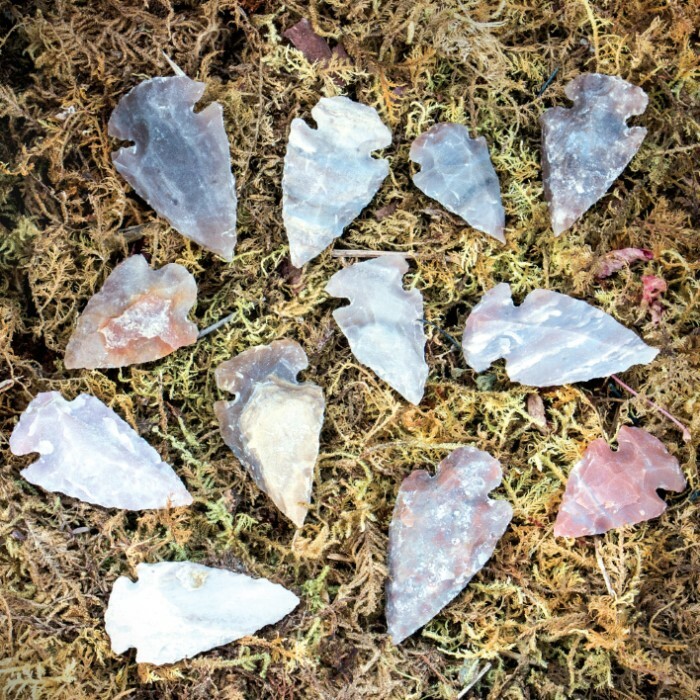 Our arrowheads are contemporary, handmade in India from agate and Jasper agate. 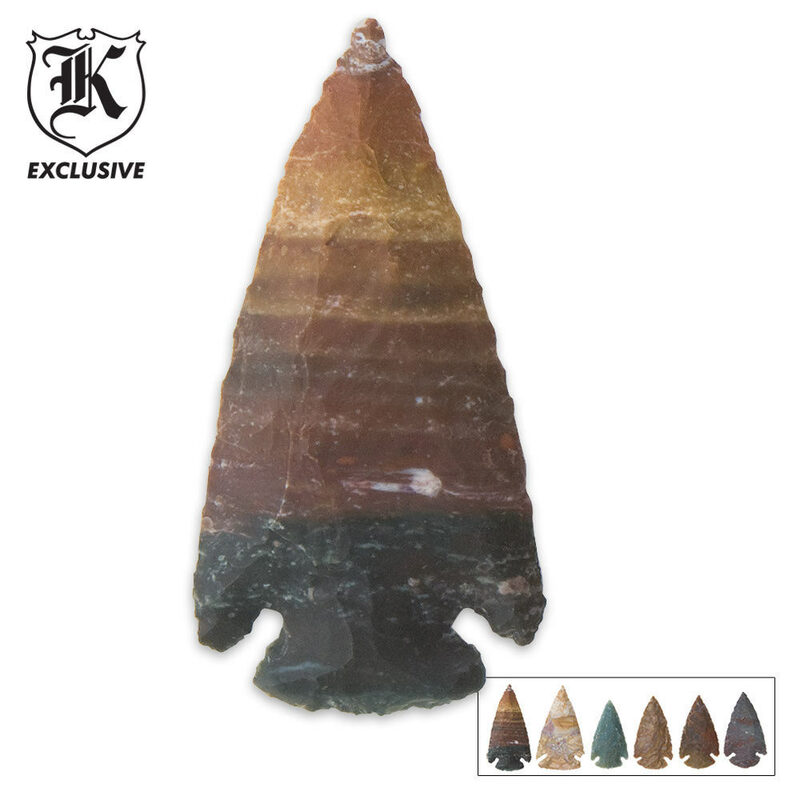 Agate is a micro crystalline variety of quartz, characterized by its fineness of grain and brightness of color. 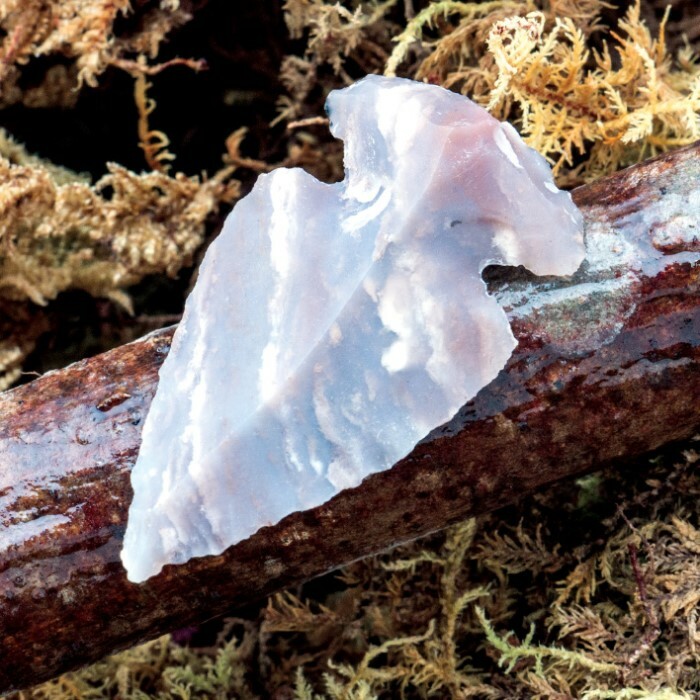 Although agates may be found in various kinds of rock, they are classically associated with volcanic rocks, but can be common in certain metamorphic rocks. This item consists of 12 arrowheads from 1" to 1 1/2" in length varying in color.